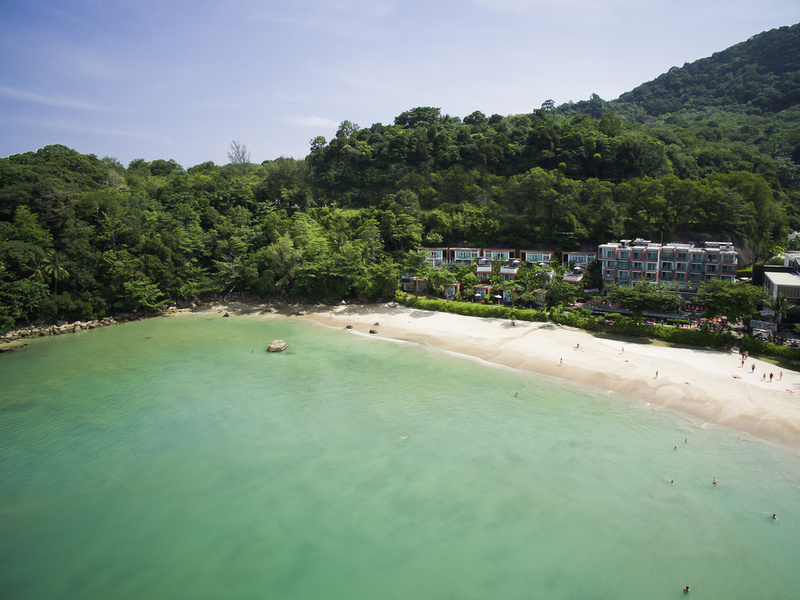 Join us at Novotel Phuket Kamala Beach and be ready for an amazing stay in a beautiful location. Located by the beach, my team and I are looking forward to welcoming you to paradise ! 노보텔 푸켓 카말라 비치(Novotel Phuket Kamala Beach)는 푸켓 서쪽 해안의 카말라 해변에 위치해 있으며, 푸켓 판타지아와 가깝고 푸켓 국제 공항에서 자동차로 약 30분이면 도착합니다. 안다만 해의 수려한 경관을 배경으로 하는 이 호텔은 해변과의 접근성, 올데이 다이닝 레스토랑, 바다가 내려다보이는 루프탑 바, 로비 바, 스윔업 풀 바, 수영장, In Balance 스파 및 피트니스 센터, 키즈 클럽, 무료 주차장, WIFI 무선 인터넷, 파통까지 무료 셔틀 서비스, 현대적인 컨퍼런스 및 회의 공간을 자랑합니다. 가까운 관광지로는 판타지 쇼와 해변 남쪽 끝에 위치한 불교 사원(와트 반 카말라)이 있습니다. 활기 넘치는 현지 식당가까지 해변에서 도보로 10분이면 닿을 수 있습니다. 파통에 위치한 정실론 쇼핑몰까지는 택시를 이용해 이동할 수 있습니다. 노보텔 푸켓 카말라 비치는 Le Club AccorHotels 회원에게 가치 있는 리조트 경험을 선사하는 마이리조트 프로그램 참여 호텔입니다. 카말라 해변에 위치한 이 호텔은 해변까지 바로 연결되어 있습니다. 1km 거리에 푸켓 판타지아가 있으며, 차량으로 조금만 이동하면 현지 바와 레스토랑을 이용하실 수 있습니다. 유명한 파통 해변 또한 불과 10km 거리에 있습니다. 24시간 운영하는 레스토랑인 Soul Kitchen에서는 신선한 현지 식재료로 만든 서양, 아시아 및 인도의 다양한 요리가 모두 준비됩니다. 독립된 식사 공간에서 특별한 석식 메뉴와 테마별 뷔페를 즐길 수 있으며, 어린이용 메뉴도 이용 가능합니다. 전 세계의 와인과 음료도 다양하게 제공합니다. 조용하고 현대적인 바에서는 안다만 해의 놀라운 전망을 감상할 수 있으며 수영장이 내려다 보입니다. 대형 HD TV 화면에서 좋아하는 스포츠 경기를 보면서 훌륭한 음식과 다양한 음료, 칵테일, 전 세계의 와인을 즐겨보세요. On The Roof라는 이름에서 알 수 있듯이 수려한 바다 전망이 보이는 옥상 바입니다. 좋아하는 칵테일과 주방에서 제공하는 맛있는 안주를 즐기면서 아침 요가를 하시거나 일몰을 즐겨보세요. Lilo에서 바다를 내려다보며 즐겨보세요. 이 바는 해변에서 가깝고 휴식을 취하기에 최적의 장소입니다. 투숙객들은 스윔업 바(swim up bar)에서 고급 칵테일, 맥주, 와인 및 청량 음료도 즐기실 수 있습니다. 사진에서 본 것보다 시설이 많리 낡아서 실망스러웠다. 화장실 샤워기도 물살이 불규칙해서 불편했다. 샤워할 때 물이 바깥으로 튀어서 화장실 주변에 물이 고여 미끄러질뻔했다. 냉장고도 성능이 너무 안좋아서 시원한 음료를 먹을 수 없었다. 해외를 느끼기에 적합했습니다. 조식도 깔끔했고 잠자리도 편안했습니다. 샤워 물이 복도로 세어나가고, 조식은 늘 똑같은 메뉴에 질렸습니다. 전체적으로 청소가 맘에 안들었습니다..베개에서 냄새도났고 앞에 머물렀던 팀들이 배드밑에 음식을 흘렸는지 개미가 엄청났습니다 혹여나 통역이 잘못되어 우리의 과실로 오해할까봐 컴플레인도 걸지못하고 이틀동안 잠을설쳤습니다..다음번에 푸켓을가더라도 다시 노보텔 까말랄비치에 숙박을 하지않을것갇아요 그외의 서비스에는 만족하는편입니다..모두들 친절하고 특히 머무는동안 유럽의 휴양지 느낌을 많이 느꼈답니다..
아기 데리고가기 너무 좋은 호텔입니다. 덕분에 잘 쉬었으나 청소상태가 별로였습니다. 객실에 음식을 먹지 않았으나 화장실에 개미가 너무 많았고 바퀴벌레 한마리도 있었습니다. 샤워실에 물곰팡이가 제일 아쉬웠네요. 체크인하자마자 화장실변기에 머리카락이 있고... 가격과 브랜드에 비해 이런점이 많이 아쉬웠습니다. 직원들은 굉장히 친절합니다. Dear yik8181 Thank you for taking the time to tell us about your experience at the Novotel Phuket Kamala Beach. I am sorry that your experience did not meet your expectations; please allow me to express my sincerest apologies. Thank you for mentioning to us in regards to the condition of your shower and bathroom, this is interesting to read and you will be pleased to know I have shared your feedback with our House Keeping team to address, thank you for raising this to us. In light of this it is great to read the friendly service of the team was a highlight; they are thrilled to hear this thank you. At Novotel, we strive to provide a superior service experience for every customer; therefore your feedback is very important to us. Please rest assured that we are taking the appropriate measures to address the problem and prevent future occurrence. We appreciate your sharing your concerns, and it is our hope that you will give us the opportunity to better serve you in the near future. Sincerely, Tim Sargeant Events & Marketing Manager Novotel Phuket Kamala Beach. 9월 14일 두번째 방문인데 객실금고에서 현금도난 당했는데 아무런 보상도 못 받았다..연락준다 기다리는데 일주일째 연락무..지문체취후 범인색출후 연락준다는 개소리에 속았다..다신 노보텔 근처도 가기 싫어졌다.어떻게든 크레임을 걸어야 되느데 쉽지가 않다.. I have lost my money at the room hotel during our stay. I have put my money inside the safety box. And i have no idea how the money gone missing. The moment i want to take out my money the safety box was opened. Total lost 300 us dollar and 1.… indonesia rupiah. I did complain to the receptionist. And they take me to the police station to report. The hotel staff said they will do investigation in 3days and will report to me the result. But a week past already and i hear nothing from them. As a guest, i have the right to ask for your company responsibility, because the money went missing inside the room hotel!! It is our 2nd time to staying at ur hotel,the first time was very pleasant that we decided to stay again at ur hotel. However this time was not good. We will not return to your hotel again ever. Thanks. 비교적 친절한 스텝들, 깨끗한 룸컨디션 좋은 추억이었습니다. 다만 객실 타월이 너무 낡았네요.. 지난번엔 객실 슬리퍼가 태국 스타일로 좋았던것 같으나, 이번 객실 슬리퍼는 신기 불편 하더군요.. 가본 호텔 중에 품질이 제일 안좋은 슬리퍼 였습니다. 구석 방 이어서 그런지 룸 크리닝 서비스가 원할하지 않은 면이 있었다. 룸 크리닝 후에 수건을 계속 교체해주지 않은 것 빼곤 만족.